As a Warlock, my armor is cloth, so it is natural for me to have the tailoring skill. One of the exclusive benefits for Tailors is the ability to build a Flying Carpet. 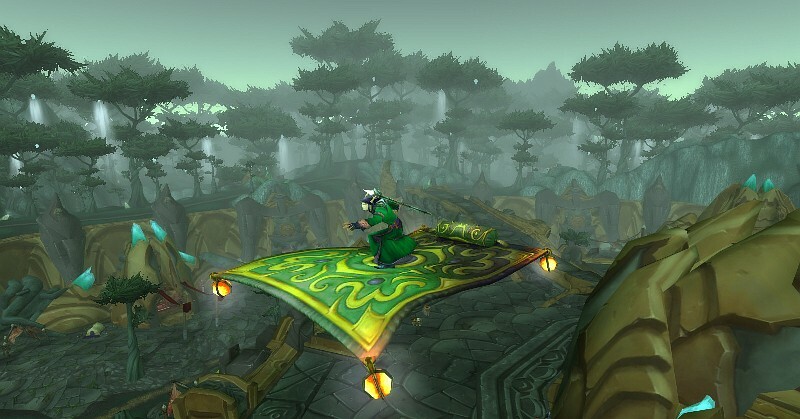 I have increased my Tailoring skill to 300+ and have been able to tailor a Flying Carpet mount. I had quite a bit of help from my Death Knight brother who helped with farming the cloth, and buying the other materials from the auction house. 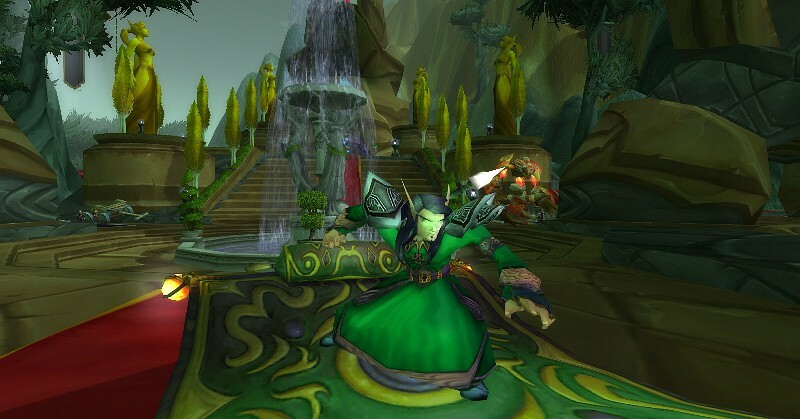 The Arcane Dust required is readily available, but the Golden Draenite is rare and quite expensive. 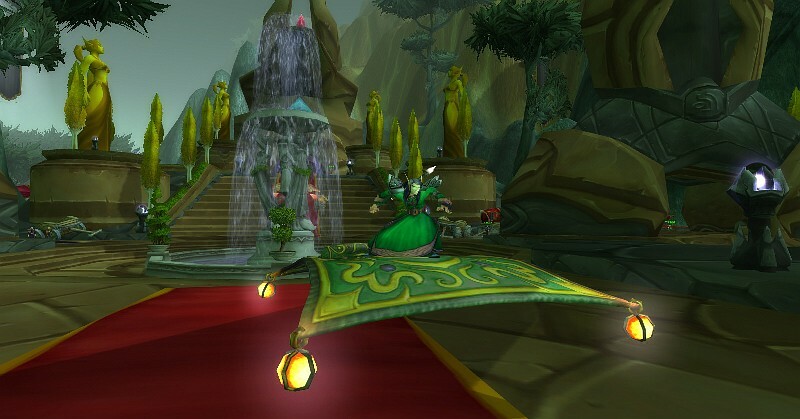 Four Golden Draenite items are needed for the glowing globes at each corner of the carpet. You may have noticed that my Alliance brother has also made his Flying Carpet. Another benefit to the tailoring profession is the ability to make bags for storage or the bank. At Tailoring 300, the Netherweave 16 slot bags can be made. These can be sold, or shared with Alts [other characters on your account] or friends. As a warlock with minions for tanking or damage, I’m making good progress and have reached level 66. The pictures of the carpet were taken in Shattrath City in Outland.